For all Art & Design students, a perfect solution to help support all your coursework developments. Access to over 20 tutorials including the amazing Texture Explosion series for the next 4 months. 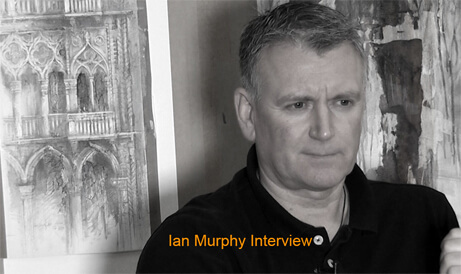 Ian Murphy answers in a video interview the most frequent questions students ask him about the techniques he uses, the way he works, the artists that influenced him and many more. Get a sneak preview into Ian Murphy’s working practice. 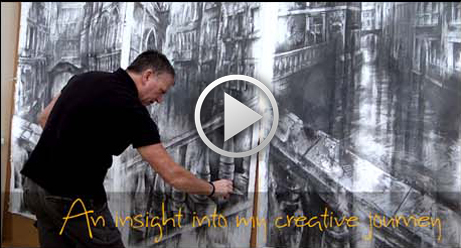 A short video filmed on location in Rome and from his studio. 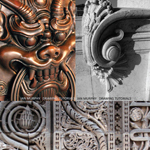 The most comprehensive free publication of Ian Murphy’s working processes ever, looking at such things as perspective, drawing water, and the ornate & decorative. It will improve your drawing skills and help to realise your true potential. Download them for free! The downloadable booklet will give you an insight into the creative strategies I use when I draw in my books and hopefully it will provide you with a substantial aid to share with your students. 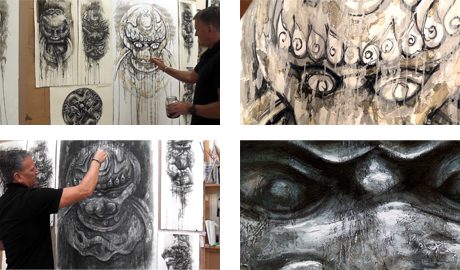 In this new online tutorial Ian Murphy explains how to create texture and atmosphere with the combinations of Parchment, Graphite and Oil paint – all of which combine beautifully to produce a fantastic surface on which to create the imposing Chinese effigy. Would you like to take your students to Venice in March 2018? At the request of a number of schools with small sixth forms we are organising a four night five day study visit to Venice from Thursday 8th March – Monday 12th March 2018 for 45 students and staff. The most popular tutorials by Ian Murphy. 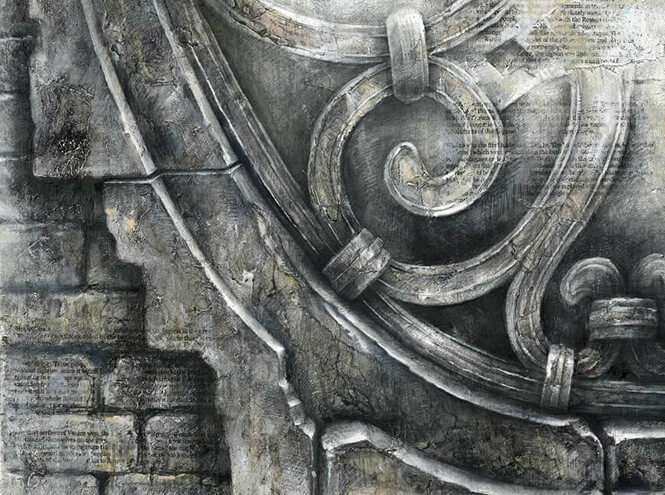 Discover all the amazing Mixed Media techniques and processes. Now available online at Ian Murphy Online TV or on DVD. They provide you with a wonderful insight into his observational focus, and the all-important selection process he makes. Every card also features Ian Murphy’s sketchbook drawing work, both in graphite and fine line pen on the reverse, giving your students the immediate technical knowledge to undertake their own drawing. Ready to attack something larger and more ambitious?